"Canadian sass-pot Nuela Charles is cocked, locked and ready to be shot onto the world stage with a soulful voice that may one day fill the Amy Winehouse-shaped holes in everyone’s hearts. 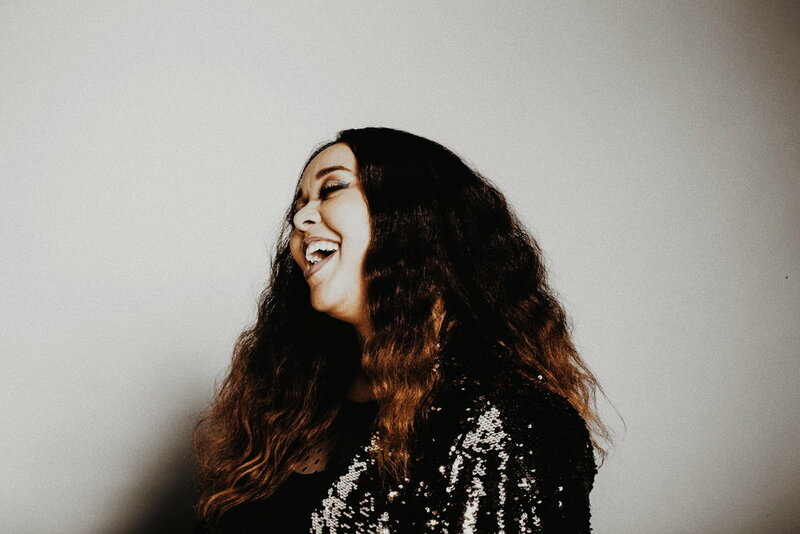 Cited by the U.K.’s Metro publication as “cocked, locked and ready to be shot onto the world stage with a soulful voice that may one day fill the Amy Winehouse-shaped holes in everyone’s hearts,” Nuela has brought her distinct voice to various stages across North America. Over the last several years she has showcased at Canadian Music Week multiple times, headlined an evening at the Edmonton Jazz Festival, and even landed an opening support slot for Ziggy Marley. Nuela’s debut American performance was at the uber-coveted “It’s A School Night” showcase in Los Angeles, on the personal invite of Chris Douridas, popular DJ and musical tastemaker at Santa Monica, California's radio station KCRW, after he added Charles’ saxy “Unfortunate Love” into rotation. The lead single “Crumbling Down” from her sophomore 2018 Juno Award nominated album “The Grand Hustle,” landed Nuela a nod from pop culture staple FADER.com, and spread nationwide as it landed on the CBC Radio 2 Top 20 charts for seven weeks straight. Adding another four (4) TV synchs to her name, notably on ESPN and the CW’s hit show “Jane The Virgin,” Charles is ready to release more of her fiery brand of cinematic soul. Gearing up to release her brand new project this October, the first single “Do It Right,” (March 2018) co-written and produced by Grammy nominated Rob Kleiner (Andra Day,Sia, Ceelo Green),made a splash in Germany, as it entered the German Airplay Charts (Hochschulsender) Top 100 in May and landed two synch placements on the US National Sports Channel ESPN, adding to the 13 synchs she’s acquired over the last couple of years. It also received support from CBC Music Radio, keeping steady ground in the Top 20 charts for 7 weeks. With a nod from FADER, a placement on the hit show “Jane the Virgin” and some comfortable real estate on the Canadian CBC Radio 2 charts, Charles is ready to release more of her fiery brand of cinematic soul, and if her 2nd single “Troublemaker” is any indication, it’ll be your next favourite “no-bark-all-bite” anthem that’s one of the year’s best showcases in sass.